Steve Jobs was as iconic in the world of personal computing devices as was the logo which defined the company he co-founded 35 years ago. News of his death earlier this evening at the age of 56 spread across the global community faster than a virus through a PC network as he received sanctification by his fans and vilification from his detractors. Whether one admired or despised the man, no one can disparage his work or diminish the immeasurable contributions he made to the world and as for the future, we can only speculate at what might have come to pass if he had been given another 35 years to live. I have never owned an Apple computer in the traditional sense of computers. I tend to find what I like in technology and stick with it and if that technology reaches limits it cannot overcome, I will then move on to something else. Just because I don’t own an Apple computer though, don’t think for a minute that I think of them as inferior to a Personal Computer….they’re just different and having diversity in product offerings keeps the technology market moving forward, evolving and innovating as it goes. I have always been one who preferred a PC for computing and a BlackBerry for a smartphone but my wife gave me a video iPod when they first came out and I am still using it today….and then last year, after watching the live stream of Steve Jobs as he introduced the iPad to the world, I decided I had to have one of those. I suppose that makes me an equal opportunity technology user. Steve Jobs did what so many couldn’t do. He didn’t invent the portable media player but under his stewardship, Apple made one that everybody had to have and by making the iPod the first and last word in portable music devices, he helped to redefine several industries, including the music industry. He didn’t invent the tablet computer either but he took a technology that had heretofore been struggling for acceptance and made tablet computers a household word. The iPhone certainly needs no introduction; since it was released just over four years ago, it has not only redefined the smartphone market but it also enjoys the highest share of that market as of this writing. Others may have invented the concepts of portable music players, tablet computers and smartphones; other companies may have introduced those devices to the consumer electronics market but Steve Jobs had the magic formula for taking those products and putting them into a device format that not only worked better than the rest but that created enough buzz to make buyers want them in record numbers. I find it inspiring that even in one of the most vicious, competitive and cutthroat industries, Steve Jobs was respected as a worthy adversary by all of these companies and there are many more who have expressed the same. In a time when most Chief Executive Officers (even though Jobs did retire from that role recently) are treated with suspicion and mistrust, Steve Jobs for the most part was above all that. His admirers and followers stuck with him and he was just quirky enough to keep them enthralled, wondering what it was he would do next. More than that, his vision and leadership not only advanced technology for all of us by providing stiff competition that forced others to innovate but he actually saved many good and useful technologies by getting the public to accept them. You might say that one good apple saved the bunch because without Steve Jobs, without Apple, many of the technologies we take for granted today might not be nearly as advanced as they are or might not even exist. He went way before his time and before his work was completely done but he left a legacy behind that no one can dispute. 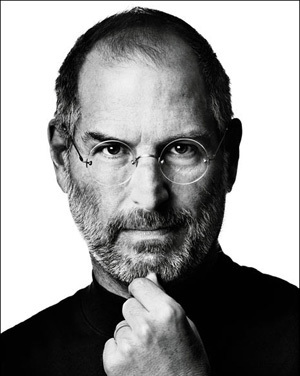 Rest in peace Steve Jobs, and from all of us, thank you. So agree with this. Due to my business I have been a PC user all my computer life, but have always suggested to neophytes (through the years) they get an Apple – it’s just the easiest way to learn, isn’t it? Jobs and his genius Apple cohort that made everything easy to use – that’s what made it all possible – not even counting making things so cool to look at. I remember the first of those candy-colored iMacs I ever saw – wanted one of each! Genius for sure and absolutely deserving of praise even though a sacred monster. Thank you Rosalie. Quirks aside, he was definitely in tune with what consumers would use and he took advantage of that in building his company. I’m looking forward to reading the inevitable biography that will come out soon.